Ted Olsen is a bassist and composer from Minneapolis, MN. In 2017 he released his début album, Joyfire, on Shifting Paradigm records. 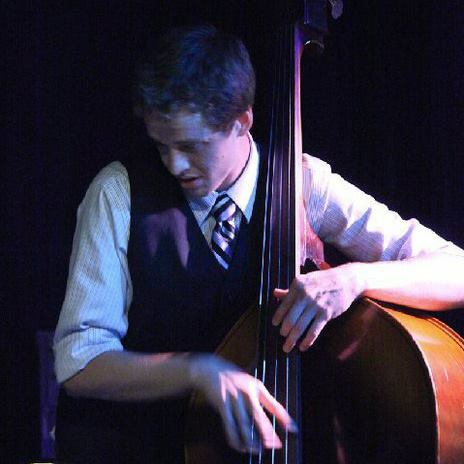 His groups have been featured at the Twin Cities Jazz Festival, The Artists’ Quarter, the Black Dog Café and Icehouse. He won the 2012 Eric Stokes Song Contest held by the American Composers’ Forum and in 2015 was a finalist in the ASCAP Herb Alpert Young Jazz Composers’ competition. Joe Strachan is an established pianist in the Twin Cities area. Joe performs with the Twin Cities Latin Jazz Orchestra, Charanga Tropical, the Pete Whitman X-tet, the Jake Baldwin Quartet, and many other groups. Also a composer and arranger, his compositions has been featured with Big Cats!, Adam Meckler Orchestra, and outstanding jazz quartet Courageous Endeavors.